You are here: Home / Digital Pianos / What Are the Best Electric Pianos for Beginners? What Are the Best Electric Pianos for Beginners? Buying an electric piano can be overwhelming. Knowing what to look for, differentiating between essential and frivolous features, and not breaking the bank can make this important purchase a challenge. In this article, our goal is to cut through all the confusion and provide you with five very suitable digital pianos that would be great for a beginner, and even appropriate for an intermediate player. 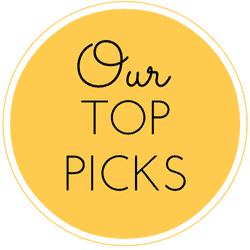 Not only will we list the worthy instruments, but we’ll provide a short list of key specs for each and discuss why this is a quality instrument when factoring in sound, touch, price, and more. 1) Number of keys – The number to shoot for is 88. Sure, it would make sense for a beginning pianist to be cost-effective and go with 76-key or even 61-key keyboard, but in the long run, these won’t be very effective as you get into playing more advanced pieces.A standard 88-key piano is the best choice because you’ll have all the available keys at the higher and lower ends at your dispoal, which means you can play more complex music as your skills mature. 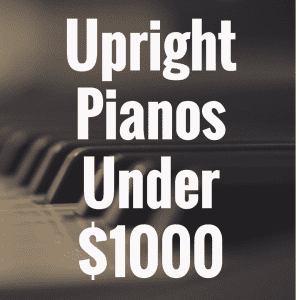 2) Weighted vs. Semi-Weighted vs. Unweighted keyboards – These are the three options you have when looking for a digital piano: weighted keys, semi-weighted keys, or an unweighted keybed.Unweighted means you get no resistance when pressing down on the keys. These are not a good option because you have little control over musical expressivity. Semi-weighted keys offer the same level of resistance across the piano, unlike a weighted instrument, which offers a gradation of resistance where the lower keys are weighted more than the higher keys, as with an acoustic piano. 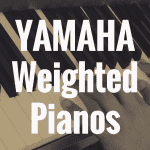 Although the semi-weighted keys would do just fine for a beginner learning the basics, the best option for the pianist looking to develop as a classical or jazz pianist is the fully-weighted piano. This gives you full control of dynamics and expression, and should you ever be called upon to perform on an acoustic piano, your fingers will already have the strength and technique needed to play the weighted keys. 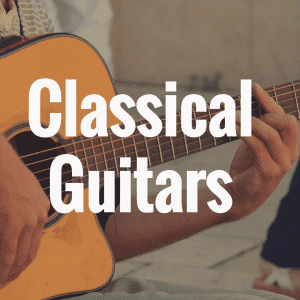 Ok, so now that you know you should opt for an 88-key, fully-weighted instrument, what piano should you actually consider? Well, we’ve provided five different digital pianos below that are all good options. And after discussing them all in detail, I’ll even select one that I think is ideal—assuming it fits your needs and your willing to spend the money! There are two Yamaha choices on this list, and for good reason. Yamaha is a brand name respected by both amateur and professional musicians alike for its high-quality pianos. One of its top sellers, the P-45 is a great choice for the beginning piano player for several reasons. At about 27 pounds, this piano is very portable and easy to handle. In fact, its portability is a definite benefit for the person looking to practice at home and later take it with them to school, a friend’s house, or perhaps their dormitory. This 88 weighted key digital piano uses Yamaha’s Graded Hammer Action technology, a necessity for a beginner to build up his or her finger strength and dexterity and later transfer that knowledge to an acoustic piano. The AWM sampling is a Yamaha trademark, as they record and combine multiple samples of the same pitch on an acoustic piano to create the most realistic sounding pitch on the digital keyboard. At around $450.00, this is a moderately-priced keyboard that is in the reasonable price range for a beginner. Combined with its features, this makes it a good choice if you’re relative new to the world of piano playing. Note: the Yamaha P-45 has recently replaced the Yamaha P-35. This piano has a few more features than the P-45, and can be found brand new online for about $600. First, the pure CF sound engine the P-115 has produces a sound that attempts to mimic (and at times somewhat succeed) that of a grand piano—well, as best as a sub $1,000 product can. This piano also has a far higher polyphony count of 192 keys, which is more than acceptable if you’re a beginner. Features like the piano style and rhythm function are cool for beginners to play around with, especially since the “piano styles” function leaves both hands free to play melody while the keyboard takes care of the accompaniment. So if you want a Yamaha with a little bit more than just straight piano function and you’re willing to spend more, the P-115 is a good pick. The P-115 has recently replaced the Yamaha P-105. At around $500, the Casio PX150 is another reasonably priced option for a beginner. Casio is another trusted piano brand that, over the years, has worked hard to change its reputation as a “toy keyboard” manufacturer. Its PX150 is far from a toy and, in fact, can be compared to the Yamaha P-115 in many ways. The PX150’s focus on creating the most realistic acoustic sound possible, and its Tri-Sensor scaled hammer action, are clearly trying to compete with Yamaha’s pure CF sound engine and graded hammer technology. The 2-track recorder on the PX-150 is especially appealing to the beginner that would like to monitor his or her progress or get into some basic music production. 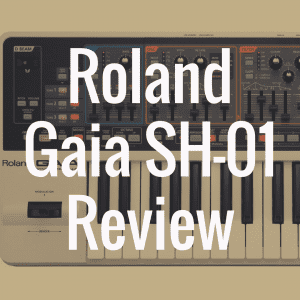 Read our review of the Casio PX-160 here. Coming in at $700, the Korg SP280 is a little higher in cost than the previous pianos, but the Korg name is now firmly established and well appreciated. Used by professional musicians worldwide, Korg is a highly respected name when it comes to producing electric pianos and keyboards. Due to that, it’s really no surprise that the Korg SP280 is an excellent piano for a beginner that is serious about honing his or her craft. This digital piano represents an acoustic piano quite well, at least when you consider it’s relatively cheap price point. From the realistic feel and sound of the keys, to its hefty size of 42 pounds, the SP280 is for the pianist who would like to have a “real piano” experience, but also wants to be able to have the flexibility and portability that comes with buying an electronic product. 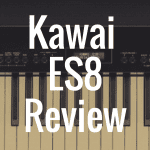 Now, the Kawai CN25 is a great instrument—but unlike the other products listed above, it’s not cheap. Since it is modeled to be as close to an acoustic as possible, there aren’t many bells and whistles to this piano, but it does its job really well. It is the most expensive of the pianos we’ve discussed (you can likely find one for just under $2000 if you sharp smart), but the quality and realistic sound of the CN25 make it well worth the price. While no doubt expensive, what’s nice about this product is that, if you absolutely know you love playing the piano and want something that will be built to last, then this is the kind of piano for you. It’s something you can grow into as your skills mature. 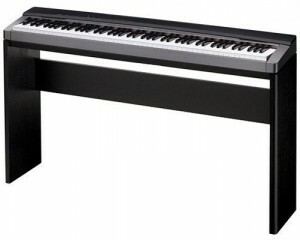 Due to this fact, the Kawai CN25 is my pick for best digital piano on this “top rated” list because it most closely models itself after a genuine acoustic piano, which in my opinion, is what all beginning students and players should look for since it is most likely an acoustic they will use in lessons, recitals, and future performances. With that said, each of these five pianos would work well for a beginner because of price and beginner-friendly features like recording capability, piano style accompaniment mode, and dual mode. And truthfully, if you value portability or features over sound quality, it might be best to disregard the CN25 and instead opt for one of the other four digital pianos discussed above. If you enjoyed this article, Please like us on Facebook and follow us Twitter! Also, don’t forget to bookmark Digital Piano Review Guide to receive more in-depth articles such as these. 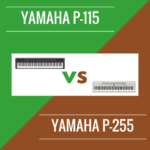 Yamaha P-115 vs Yamaha P-255: Which is Better?